Join Us at BBC 2014! Win a FREE Pass to BBC 2014! 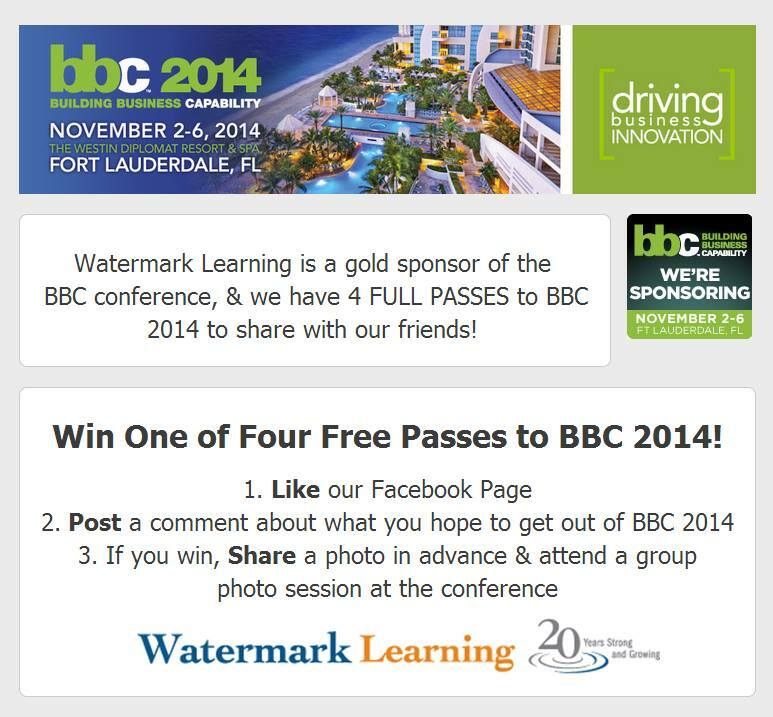 Watermark Learning is a gold sponsor of the BBC 2014 Conference in Fort Lauderdale, Florida this November, and we want to see you there! So we’re giving away 4 FREE passes between now and the end of September! All you have to do is like our Facebook page and post a comment about what you’re most looking forward to at the conference. It’s that easy! You could be one of our lucky drawing winners! Click the image below to be directed to our Facebook page for full rules and to enter for your chance to WIN!